We are proud to offer the world's best wing shooting adventures. Our guides will take the hassel out of your travels with VIP attention from the time you arrive in Argentina. A duck hunter's trip of a lifetime! San Javier is located in the middle of Argentina's most important rice producing regions. This area has an abundance of marshes, rice fields, and river deltas providing superb waterfowl habitat. A variety of species are available, especially the great decoying Rosy-Billed Pochard and a number of teal, including the Silver, Speckled and Brazilian Teal. Also common are three species:tree ducks, yellow-billed pintails and southern widgeon. 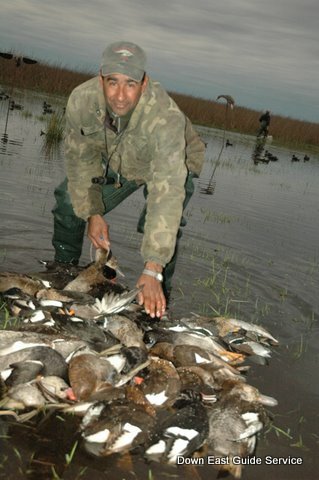 Your daily duck limit is divided between morning and afternoon hunts with two hunters/blind. A huge lunch and mid-day siesta separates the hunts. Afternoon perdiz or dove hunting and fly fishing for dorado is also available in this area. Cordoba is a synonym of Dove Shooting. The season is year round with no limits. 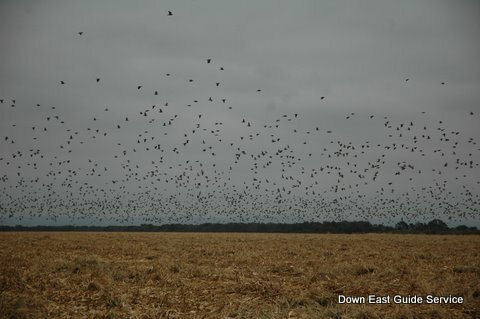 Dove populations grow each year due to protected roosting areas, a climate that allows year-round reproduction and the conversion of pasture land to row crops. Capt. 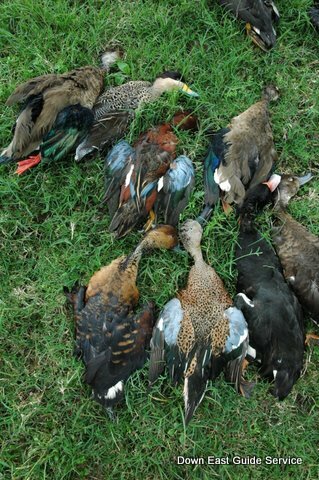 George Beckwith's Hosted Trip: Hosted duck hunts available July 10-16 2018. Regular Duck Season: May, June, July. Discounts available for groups of 6 or more. 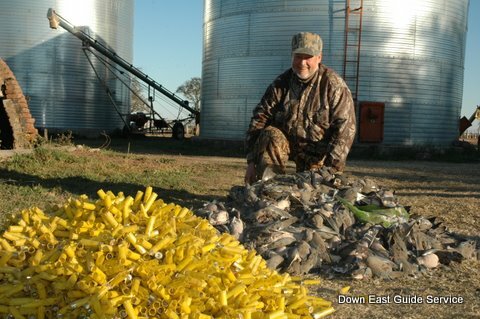 Dove Season: Excellent year-round dove hunting. An overnight flight from Miami or Atlanta to Argentina, arriving in Buenos Aires or Cordoba pending your custom itinerary. Please email us to receive our Argentina Flyer. 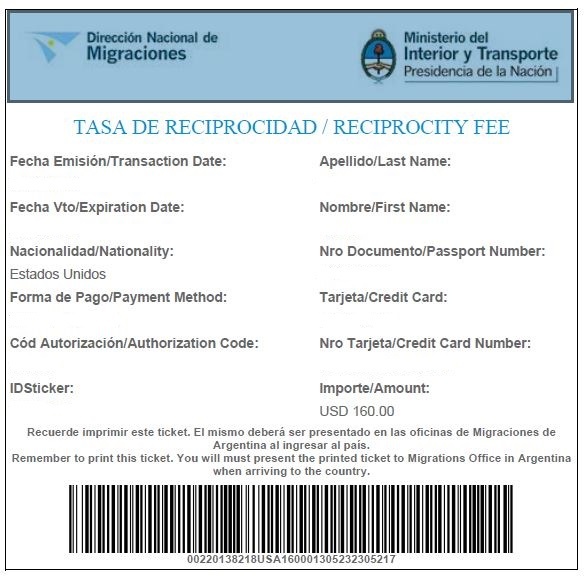 A valid passport is required for all travel to Argentina. You must create a log in, pay the fee, then print out the receipt which is your visa. You must have this with you when you travel to Argentina. 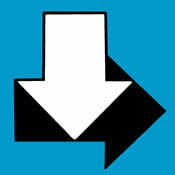 Example below.